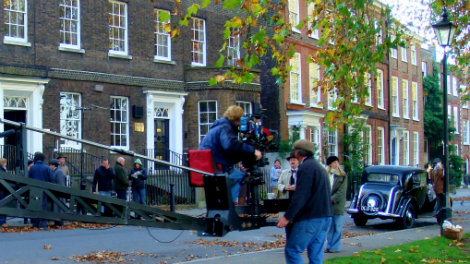 The London Local Authorities (LLA) and Transport for London (TfL) Act 2008 means that Traffic Authorities have the authority to close roads specifically for the purpose of filming on London's streets and highways. All initial enquiries for about closing a road should go through the Borough Film Service. If you're looking to close a red route, you need to contact Transport for London. You can arrange a closure through and Order or a Notice, but not all Traffic Authorities will offer both methods. Orders can close roads for the purpose of filming. The fees: Closures by Order are usually in the region of £1,000 - £2,000, with a fee charged either as a set rate or a rate per application. The lead in time: These vary by application but most Traffic Authorities tend to require a minimum lead in time of 8 weeks, with some requiring 24. More time is generally needed for central areas and busy roads. Because of these costs and timings, Orders may not be appropriate for smaller productions. Notices can prohibit traffic on a road for the purpose of filming, although it's worth being aware that many Traffic Authorities won't use closures by Notice for anything other than emergencies - and filming doesn't usually count. In those boroughs that will use a Notice to enable filming, Traffic Authorities can use this power to enable the prohibition or restriction of traffic at relatively short notice. Only issued where the Traffic Authority believes that it will be expedient and that it should come into force without delay. Not restricted on the amount of Notices that can be issued per street. The fees: These vary by Borough and application, but do expect a charge for a Notice - this will either be a set rate or on application. The lead in time: Notices are subject to a lead in time, but this varies by application. Any costs associated with the Order over and above that published for other Orders. Costs vary across Traffic Authority. The Traffic Authority (and the Local Authority if a different agency) will assess whether the planned activity and control measures meet all legal obligations. They will do this in conjunction with the local Metropolitan Police office or the Metropolitan Police Service Film Unit. All information contained within this document is indicative only and will not necessarily reflect the exact cost or lead in time required for your filming. Each application has to be considered on a case-by-case basis.